Mitra Jyothi was born from one woman’s dream of transforming the lives of visually challenged people. BENGALURU: For 81-year-old Ambujavalli, the ritual of visiting Mitra Jyothi has been sacrosanct for the past eight years. Her alacrity is evident as she moves from the editing room of the centre for visually handicapped, where she transcribes books, to the recording room where she records audio books. A passionate volunteer, she was influenced by the desire of the centre’s founder, Madhu Singhal, to contribute her time to assist in providing education, livelihood and skill training to the visually handicapped. Started in 1990, Mitra Jyothi is the result of Madhu Singhal’s attempt to transform a piece of her dream into reality. Born visually impaired, she continued to nurture her dreams in darkness. “I was born into a big, happy joint family. With three siblings, I had a great childhood. But I soon realised I was different. They ‘saw’, I did not,” says Singhal, who was born in Rohtak, Haryana. After studying in the comfortable confines of her home, she was admitted to a regular school at 13, after her mother persuaded and convinced a school. Without any blind-friendly gadget or technology, she learnt Braille and started transcribing her school notes into Braille at home. “I managed to complete my Master’s degree in Hindustani vocal music,” she says, adding that though she has a musical sense, she is a mediocre singer. “Those days, parents thought that if you can’t see, utilise what you hear. So they felt music would be ideal for me. But my focus changed soon,” recollects Singhal, now in her late fifties. After her father’s sudden death, she shifted to Kanpur to stay with her brother. “In 1987, I visited Bangalore to be with my sister. It was her husband who became my mentor. He told me to fulfil my dwarfed aspiration to do something for visually impaired people,” she says. With no experience in starting an organisation and unfamiliar with English or Kannada, her confidence was boosted by a few people who encouraged her. Marred by reticence and emotional reserve, but with an iota of optimism, she began learning the languages and mastered. 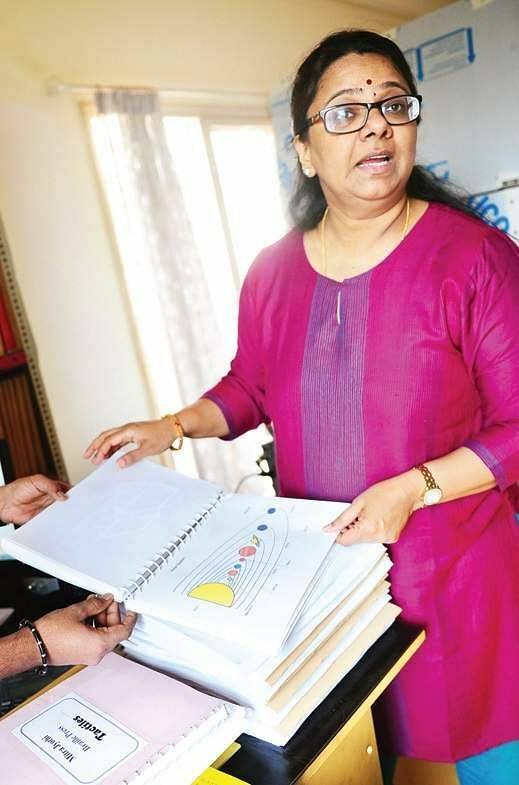 She then stitched together programmes, taking into consideration needs of visually challenged. “We started in a garage and then moved to a rented premises. With patience, persistence and donations, we were able to buy land and build the centre,” she says. Today, the 26-year-old centre provides basic and advanced computer training, independent living skills, has an educational resource centre, a placement cell and a hostel facility named Center for Empowerment of Women with Disabilities. TCS works in collaboration with Mitra Jyothi and conducts job-specific training once a year while IBM, Cisco and other MNCs have employed many of its students. In 1999, the centre started training people with other disabilities as well. “We recently set up a hostel for visually handicapped and women with disabilities. It can house up to 50 women. We also have two dormitories for boys and girls at our centre,” she said, adding that there is a need for increased advocacy. “We need to spread the word about such facilities. We also need help. For example, the onerous process of publishing in Braille will be reduced if publishers provide us with soft copies of books. We have our constraints, but we have patience,” she says.